In this Aug. 31, 2018, file photo, Lady Gaga (L) and Bradley Cooper (R) walk the red carpet ahead of the 'A Star Is Born' screening during the 75th Venice Film Festival in Venice, Italy. During Gaga's Enigma residency concert in Las Vegas, the singer invited her "A Star Is Born" co-star and director up on the stage with her. Cooper, who was seated in the audience, had the crowd cheering as he joined Gaga to perform their duet. After Cooper finished his solo, Gaga got up and began her part of the song on the piano. 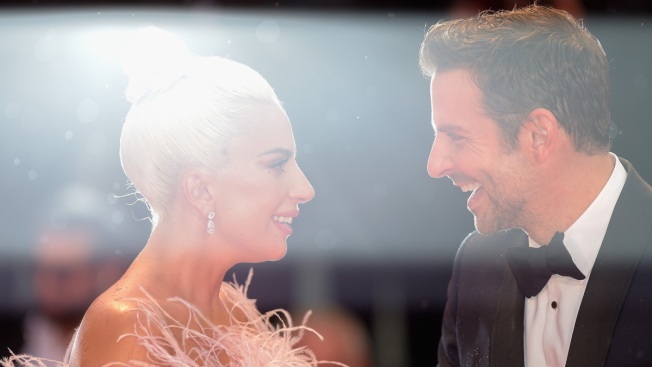 As the song continued, Cooper and Gaga looked at each other warmly as they sang. Towards the end of the song, Cooper sat down next to Gaga and wrapped his arm around her waist. In just a few hours, the duo is likely to walk the red carpet at the 2019 SAG Awards, where their film is nominated for multiple awards.